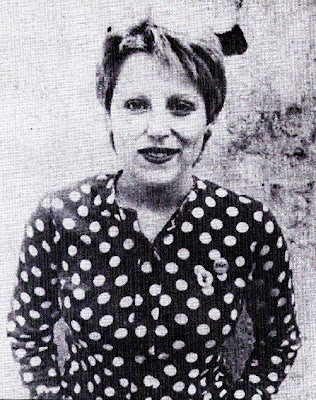 LA*SURFPUNK HOLLYWOOD: HAPPY BIRTHDAY GINA SCHOCK!!! 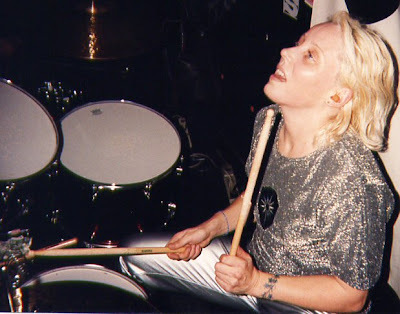 A very Happy Birthday to one of the world's greatest drummers, Regina Ann. House of Schock is an all-time favorite album. It was a record that was so overlooked, not only by the industry but the buying consumer. All the songs are musical masterpieces especially Love In Return, such a beautifully written-- lyrically and musically--- fall-in-love/breakup song. The Piano!! Can we talk? Can an instrument convey such sadness and loss?? With this song, YES it can!! Absolutely love Schock's Baltimore twang in this song. Capitol Records was such a scrooge when it came time to promote the album for Gina and Vance (DeGenerous). 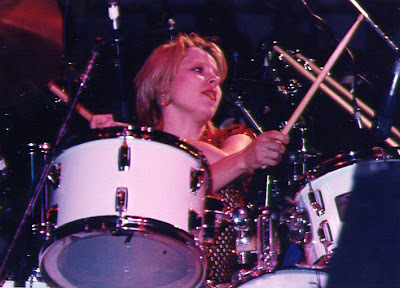 Gina Schock (born Regina Ann Schock on August 31, 1957 in Baltimore, Maryland) is the drummer for The Go-Go's. 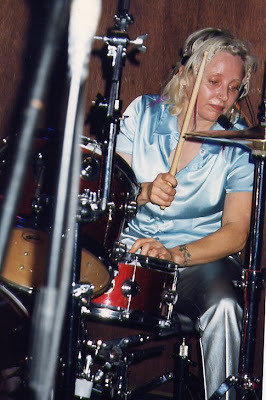 Schock's career began as drummer for Edie and the Eggs, a band assembled to feature the John Waters star Edith Massey. 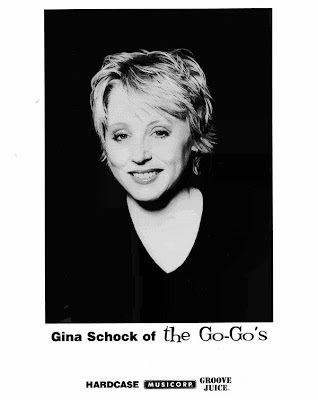 After her stint in Edie and the Eggs, Schock relocated to Los Angeles, and soon joined The Go-Go's. 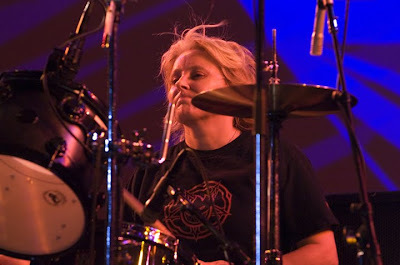 Schock recorded and toured steadily with The Go-Go's until the group disbanded in 1985 and reformed a few years later. She currently lives in San Francisco. 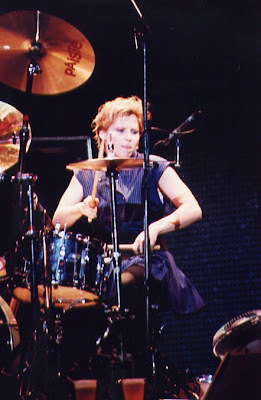 Following the dissolution of The Go-Go's, Schock continued drumming with various artists, and would also hone her singing and songwriting skills. 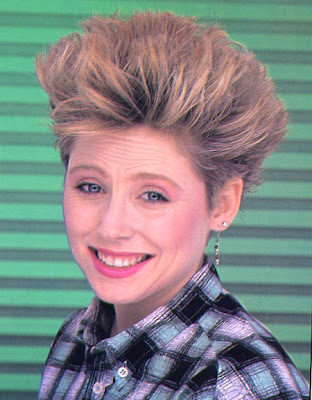 In 1987, she joined with Vance DeGeneres and formed House of Schock, which released one album for Capitol Records. 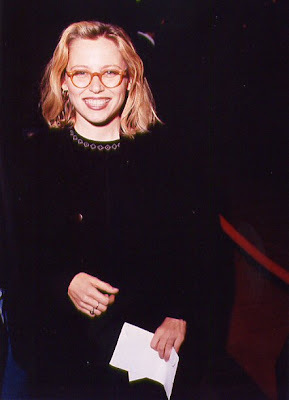 The Go-Go's reformed in 1990; Schock has toured and recorded with them since. She also works as a writer and producer for new bands. 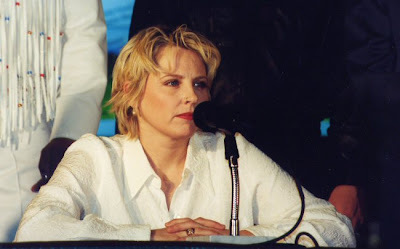 She is currently working with The Go-Go's on an all-girl teen band project for Disney called The Po-Go's, to be released in the summer of 2008. Her drumming continues to gather critical acclaim. Schock's songs have appeared in films including The Accused, Superstar, and Bull Durham. She has acted for television and in several films, including those of underground director Relah Eckstein. Biography via The Go-Go's website.